Both the clamp base and nipping table is adjustable semi-automatically. 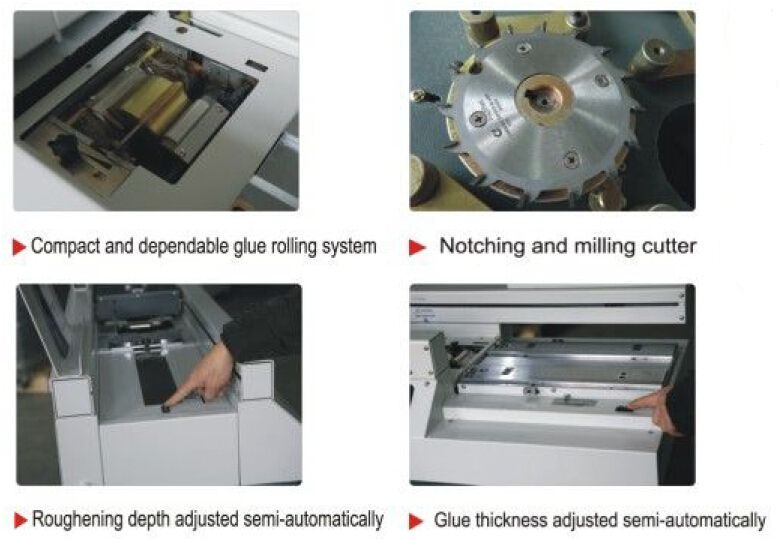 make it easy to do advanced adjustment for cutter depth and glue thickness.Maixmum satisfy different customers' needs. Two unique design nipping bars on the nippers can be exchanged. It make the machine can bind soft cover (70 - 300gsm) and hard cover (2mm). PB7000 is a new one-pass binding machine. 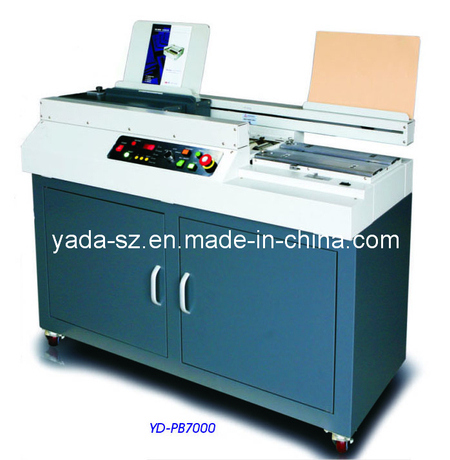 Single-pass operation is responsible for the fact that PB7000 is about 250 books per hour faster than any other bindig machine in same class. It means clamping paper, roughening, gluing, nipping cover is one pass. Compared with traditional binding machine,it can bind 250 books per hour. 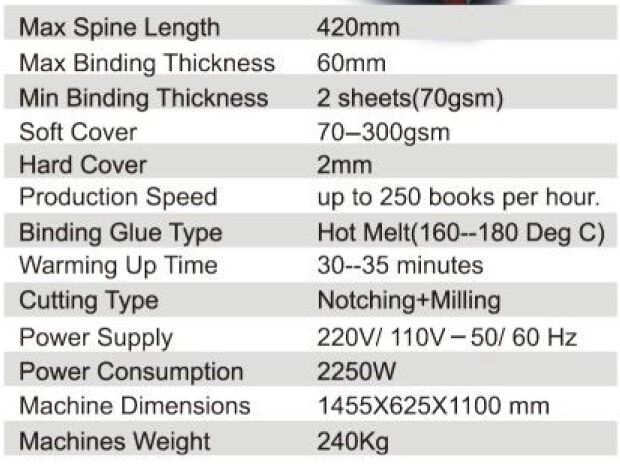 Dual-rail design guarantee an accurate and perfect binding for each pass, It keeps the book stock carried in a level position, to make the book spine more square and perfect. Also the accuracy can be controlled easily.